As leaders and managers who understand the principles and the importance of Dale Carnegie, we all want our businesses to grow across New Jersey. Every organization needs to grow and be more successful so every opportunity must be considered. Although New Jersey has had its share of natural disasters, we still are heading in the right direction. But we still face challenging competition businesses in nearby states who are also focused on growth and opportunity. Doing the right things in the right ways often puts us ahead of the competition. Are your customers greeted quickly and politely on the phone and at the door?? Are your front-line people dressed for first impression? Are customers rewarded for their loyalty? Are employees paid fair wages? Are products and services competitively priced? Is the inventory ever changing and evolving? Are “issues” involving employees and customers handled in public or private? Are business hours balanced for maximum convenience? These questions add up in a big way when you put answers to them. 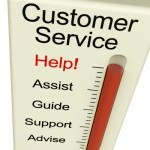 It does not matter if your business is servicing cars or selling shoes, the questions are all the same. It is only the answers that make the difference. Pay attention to both your employees and your customers in a positive, caring way and involving them in what you do is the mission of every successful organization. A company’s profitability and future are both the BYPRODUCT of processes and people. Doing things in the right way keeps the team ahead of the competition. Do the little things in a big way and everyone is successful.